Growing crime rate has made the humans build a defence mechanism against it. And one such tool to ensure safety is Closed Circuit Television (CCTV) camera. They have come a long way since their inception and today, we are at the point that the latest technology enables us to have something called the network digital video recorders for viewing the footages of the video recording from a remote place. It is especially useful for the companies which are located at multiple sites. We are VRS Tech. 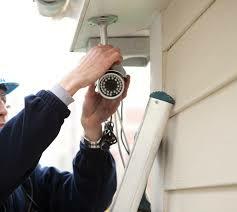 We offer most up-to-date CCTV DVR installation services for residential to commercial use. As the name ‘closed circuit television’ suggests, the CCTV cameras are not for the public broadcasting, but for protection and security purposes. The term ‘closed circuit’ emphasises on the fact that by design, the recording is for the eyes of the concerned people alone. The key for maximum safety is the strategic placement of the cameras that record the events happening under its scope, which can be remotely viewed. Earlier the CCTV camera used to record the images that could only be viewed in black and white in the monitors; however, of late the images can be viewed in colour, and what’s more, the images can be zoomed in for a clear understanding of the events. Furthermore, the talk CCTV cameras allow the supervisor to talk over the speaker which will be audible to the people in the range of the cameras. 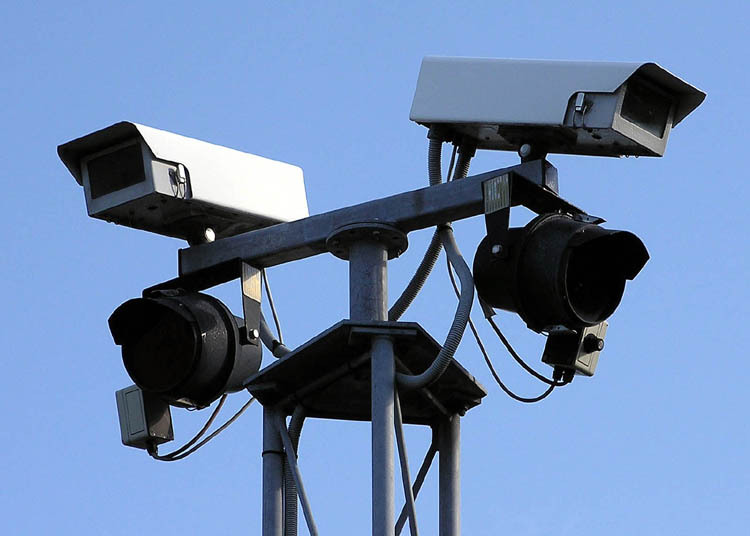 CCTV cameras are most frequently used by the police departments to catch the culprits of various misdoings. Their presence is ubiquitous especially near the ATMS, hospitals, MNCs, schools, child care centres, near traffic signals, roads and many other organisations. • To increase the overall productivity at a work place. • Observing the behavioural patterns of the inmates in a medical facility. • To avoid thefts in buildings or residential complexes. • To uncover fraudulent matters. • Preventing unauthorised personnel in high security areas. • Maintaining security within a high security premises. Being a pioneer in CCTV DVR installation services, we have acquired unparalleled expertise over installing the cameras in the most ideal locations for the maximum coverage, which offers a perfect solution especially for unmanned areas. We customise the CCTV cameras as per your requirement and enable the footage available for viewing not only on the specified devices, but also on phones, tablets, PCs or a TV. • Our CCTV cameras make night vision also possible even in absolute darkness. • SMS notifications in case of system errors. To avail CCTV DVR installation services from VRS Tech, contact us today at +971 55 5182748. Why Are CCTV Camera Installations Vital For Safety? Of late terror attacks are on a rise. Not even the most advanced countries like U.K., are spared from them. The recent attack in Manchester, followed by terror strike in Central London, and Iraq are the living proof of the growing crime rate. However, the point to be noted is that, no matter how cleverly the crime is planned, the perpetrator of the crime is being nailed down due to the very fact that the surveillance cameras capture the actual proceedings of the crime, the culprit and how it was carried out. Though there is a prevailing public concern on the cameras being placed in the public places; however, we believe that for greater good presence of CCTV cameras in the public areas as well as private premises is important for various reasons. We are VRS Technologies, who offer CCTV installation services in Dubai, as a step towards controlling crime and improving the security in your premises. Right from the public to the private sectors, governments, hospitals, schools, banks, ATMs, offices almost every area can benefit with the help of the surveillance cameras. The invention of security cameras is a boon to the humans and its application is just unlimited, which can only stretch until where our imagination takes us. Here are a few advantages. Can be used to monitor the behaviour of the criminals in confinements. To monitor the suspicious activity near Banks, ATMS etc. We at VRS Technologies offer customised CCTV camera installation Dubai to cater to your needs. We carry the latest technology CCTV cameras that transmit the footages promptly for monitoring as and when the activities are recorded. Moreover, our cameras are capable of recording the activities in spite of low lighting conditions. Contact VRS Technologies, at +971 55 5182748 for more details on any sort of CCTV camera installations in Dubai. As it turns out, investing our hard-earned money on a few things like insurance might not always be profitable towards the end. However, we all know it is better to be safe than sorry; putting money on insurance is always a safe bet. Similarly, spending money on facilities like CCTV installations can only be annoying in the beginning, but in a longer run, might prove to be a crucial and profitable for your business and domestic use. In the wake of the increasing crime rate, it is always suggested to have the CCTV installations in Dubai for a safer today and tomorrow. 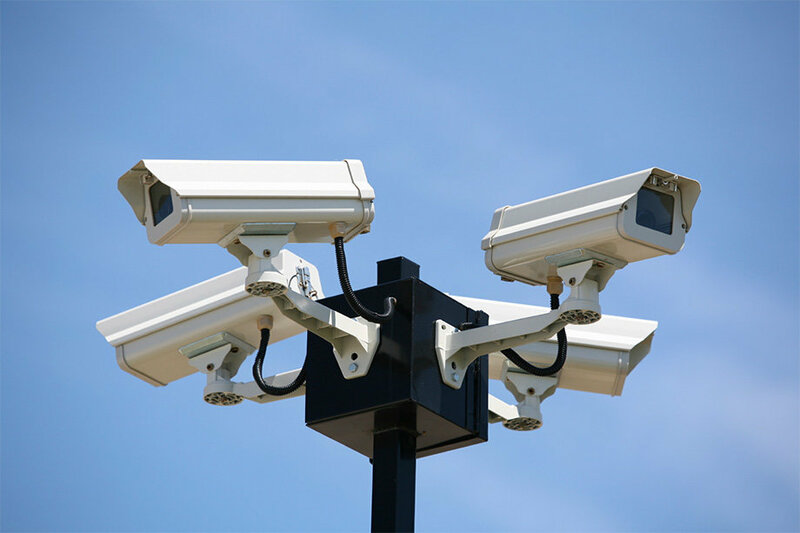 According to a study, CCTV cameras strategically placed in a car parking area observed a 51% decrease in the crime rate. There was a 23% decrease in public transportation area and 7% decrease in overall crime rate in public places. More than dealing with the crime after it has happened; the CCTV camera installations Dubai help in controlling the crime as the criminals deter from committing the crime with the CCTV cameras in place. Though, only the sky is the limit for tapping the use of CCTV installations, here are a few advantages of having the CCTV cameras installed for your business. Having a burglar in the premises is though not uncommon, it is still far-fetched. However, the immediate benefit you would be able to reap soon after the CCTV installations is an undeniable increase in the employee productivity. It is observed that the crime rate is on a rise especially when the criminals observe the lack of the CCTV cameras in the premises. They usually target the areas where the premises are not watched or monitored. With the slightest intervention, the crimes can also be stopped when the premises are constantly monitored. A constant monitoring of the entire premises can result in controlling the property loss due to fire accidents, burglary, and vandalism. Humans, who are fallible of errors, fall short of providing proper security especially in the case of high-security zones, which are always expected to be monitored round the clock. The 24×7 security offered by the CCTV cameras can also be produced in courts or during police investigation as footages as a proof of the crime. Constant monitoring of the high-risk areas can prevent fire accidents, short circuits or any potential dangers like gas leaks etc when controlled in time. It helps in maintaining a disciplined environment and promotes the sense of being right due to the feeling that they are constantly being watched. With the employees being under constant supervision, it gives the uncompromised quality assurance to the customers. It also ensures that the employees meet the project deadlines thereby keeping the clients happy. At VRS Technologies, CCTV installations are our forte. We make sure that the cameras are strategically placed for best results. Contact us at +971 56 7029840 or visit our website www.vrstech.com for more information on CCTV installations in Dubai. With an alarming rise in risks like robberies, thefts and vandalism, there is a growing concern about safety. Thanks to the CCTV cameras that are devised for safeguarding the premises by detecting or alerting against untoward events. CCTV installation Dubai has gained such immense popularity all over that it has become a firsthand security measure in homes, offices, schools and public places. Based on the purpose they fulfill, CCTV cameras vary in their type, although the technology used also shows the disparity between them. 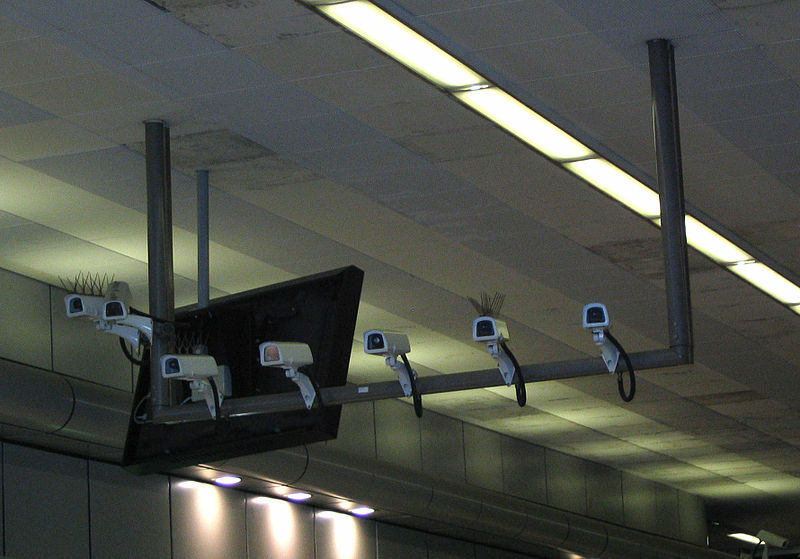 Among the CCTV cameras, there are two types-security and surveillance cameras. The surveillance cameras are mostly meant for observing and recording the happening within the field of view. Whereas, the security cameras alert us in the case of a risky event apart from monitoring. The security cameras act like watchdogs of the premises by monitoring and sending alerts through emails and messages in case of unexpected events. They are intelligent enough in identifying the faces of unauthentic persons walking into the premises. With the alerting feature of the security camera, the crime can be deterred even before it could occur rather than after the incident. The security cameras are placed at the entrances and exits and other key areas to track the wrong doers. The surveillance cameras, on the other hand, are no less in providing safety although they differ from the active mode of security provided by the security cameras. Usually, they are located for surveillance of a particular room. They can be placed at strategic locations to monitor what exactly is taking place in the particular area. If placed at one corner, the security cameras can cover and record all that is happening in front of them. If you are looking for CCTV installation and services in Dubai, your search is almost done. VRS Tech is here with the latest and upgraded versions of the CCTV cameras which can film, record and transmit the footage beyond your perception. We have with us high resolution cameras to offer high visibility to view the images even in pitch darkness. Our models include the CCTV cameras for both indoors and outdoors. Contact VRS Tech at +971 56 7029840/04-3866001 for our CCTV installation to drive out the scope for any risks you could fall into. Our website vrstech.com will provide full-fledged information on our CCTV camera installation services. When the world opened its eyes to the importance of CCTV cameras, it waited no longer to adapt them into its security system. Due to the essentiality of the security, the CCTV cameras are finding a presence everywhere without any exception. Although the purpose that is filled may vary depending on the place- hotels, business enterprise, schools, markets places, shopping malls and so on, CCTV cameras are deployed everywhere to keep a vigil on the premises . These security devices are a real boon in tracking out what the human eye might not be able to. If you are planning on having the CCTV camera installation in Dubai, you might land on VRS Tech. Not for public places alone, CCTV cameras serve the purpose of home security. Usually, wherever we are our mind lingers around our home. Even while we are away, we would like to keep guard of our home and the CCTV cameras have a lot to do with the home security. As employees and business persons, many are away or on the go and having appointed the nannies, still want to watch what the little ones are doing. With wireless CCTV camera systems connected to the network, using remote devices like tablets, laptops or tablets, the child’s safety can be ensured. A CCTV installation at home is good for some other reason i.e. to stay free of accident prone risks. Fire accidents might be dreadful since they evidently cause damage to property as well as life. Even before giving chances for pitiable incidents due to a fire breakout, a CCTV camera installation will help us deter the accident in a timely manner through the email or a message it sends, so we could act upon it. Certain security cameras are smart enough to watch and monitor the activities of the visitors when placed at the entrance and exit and other key areas where there is a scope for an unauthentic person to gain access to the mansion. You can be assured there is security in every nook and cranny of the house with the CCTV camera installation in your home. VRS Tech in Dubai is a CCTV installation provider in Dubai for your varying needs and we also specialize in guiding you through what could be best for your home security. We provide CCTV camera installation services across various spheres at competitive prices sure to suit your budget. Reach VRS Tech at 971 56 7029840 for the CCTV camera installation for your distinct requirements. Refer to our website www.vrstech.com for further detail. IT deserves due importance in business and has in fact become the spine of it. The computers, servers, networks and other peripherals form the base of the IT infrastructure, without which the business cannot operate. What if there are troubles some time with the IT systems? 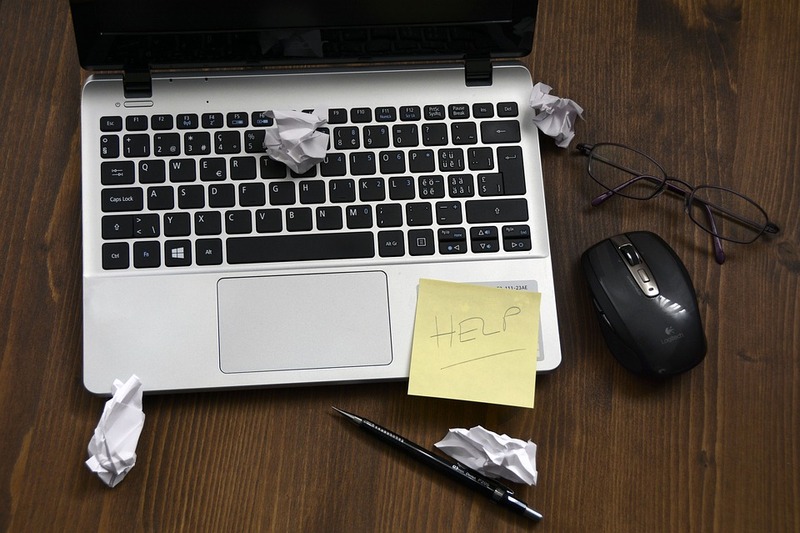 Consider those situations when a computer breaks down or a there is a malfunction. Data crashes and cyber threat issues are another story to tell. In whichever case, IT support services work as a backup solution to all the issues confronting the IT systems. You have AMC service providers to offer year round IT services and so that these issues will not bother you. The maintenance of the IT systems will be taken care of and a proper functioning will be ensured through the AMC services. 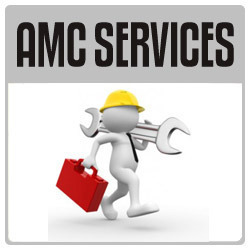 How would you benefit through AMC services? 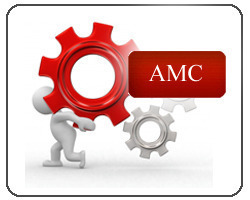 AMC service providers take up the overall responsibility of maintaining the IT systems to run well and perform better. You do not have to invest much time in tackling any issues each and every time causing a disruption to the work. Shelling out an annual fee, you can get a whole lot of services for the overall welfare of the IT infrastructure. Being cost-effective, the AMC services at the same time reduce downtime issues. VRS Tech is a master AMC service provider offering constant support and maintenance to tackle breakdowns, malfunctions, cyber threats, data loss etc. We are prompt at providing quality services with our team of highly skilled experts to resolve your issues so your IT systems are up and running in no time. It is worth mentioning that we understand the trust placed in us and work toward keeping it. Internet is a resourceful destination for many and it is also where ways are built to cause insecurity to the computers and networks. At the same time, online presence cannot be ruled out. In spite of the threats we combat, we still want to make the most of the internet. Through the internet, unauthentic sources can gain access to your computers and networks. In order to protect the computers and the network from unauthorized access, network security and firewalls is essential. 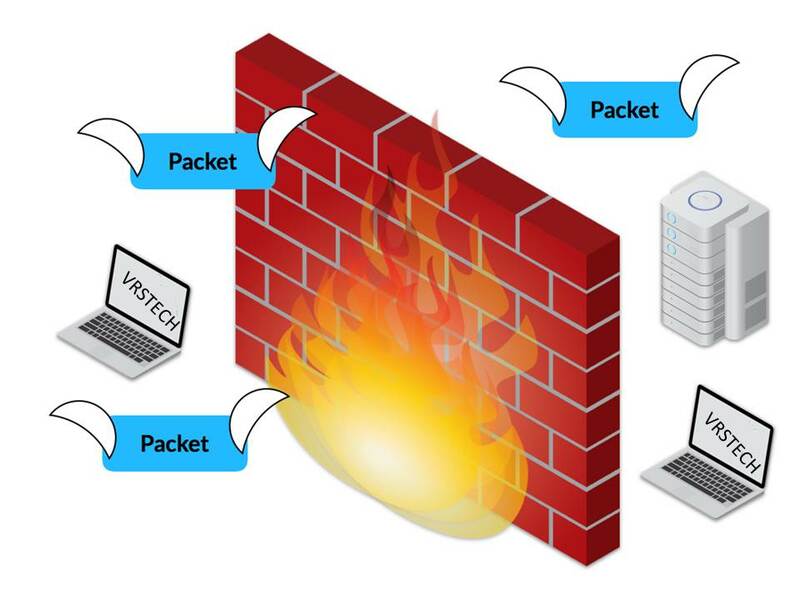 A firewall is a blockage between the internal network and external network. The firewalls detect the authorized sources and make allowance for their access to the network. At the same time, firewalls recognize the unauthorized elements and deny their access to the network. Altogether computer and network security with the firewalls can be achieved. A firewall is available as both software or hardware or a combined one; the combined firewall offers a more protective solution than the single firewall with more layers of protection. Firewalls take care of the overall network security by examining, identifying the authenticity of the external source and allowing or denying permission for the unauthorized sources moving in or out, crossing the firewall. The computers and network security is ensured and any cyber insecurity is put at bay. VRS Technologies is an IT service provider with various services under the umbrella. We put in our best efforts toward offering high-end security with the best in the market security tools. With our knowledgeable professionals, we provide best firewall solutions in Dubai and UAE for your computers and networks to be secure. Call VRS Technologies for the network and firewall security at +971 56 7029840 or refer to our website www.vrstech.com to learn more. The core aim of a business enterprise is productivity and to realize it, all the business strategies must work as planned. Or the enterprise goals might be far from being reachable. Most businesses aim at deriving the best output in the smartest way, the reason behind having IT infrastructure as part of the business. IT can be a real boon for a business to grower bigger. Keeping the IT infrastructure working effectively giving fewer chances for downtime and troubles is important, which needs monitoring and servicing. Or there is a scope for IT issues causing disruptions in work and being the reason for decline in productivity. Why should small troubles snowball into big ones? Having a well-monitored IT infrastructure will help the enterprise achieve the prosperity eyed on and longing for. VRS Tech offers Annual Maintenance Contract in Dubai to clear the IT related troubles off the way for showing a well-performing business. Virus or malware are the unsafe programs entering the computers without our knowledge through emails or disguised web links. This is like giving a chance to those aiming to target the crucial business data. With timely removal of the malware, wrong access to the data can be blocked, hence securing it. Annual maintenance contract providers can relieve you of any distress of losing sensitive data, by monitoring your systems constantly. An enterprise should foresee all kinds of situations- both good and bad. Not all days will be in our favour. Unexpected network problems are likely to occur anytime, withholding the company from progressing forward and bringing its profit-earning business to a halt as a lot of time will have to be spent in getting things right. Annual maintenance contract will ensure less downtime by offering timely assistance or help. It is beyond human imagination to tell exactly when a trouble might erupt. In the middle of a progressive business work, there could be a server or a hardware issue with the computer which are invisible hurdles coming in the way of the prospective business. Rather than being a victim, it is wiser to win over them and get all the IT systems monitored constantly to help you surpass any impending trouble. A backup is a good source for backing up or protecting the business data from being lost. Apart from adopting a data backup, it is equally important to test if the backup is working well or not. Ensuring the backup to perform up to the mark will relieve any worry of data loss. The maintenance, service, support of IT systems is covered under the Annual maintenance contract, a year round service with a yearly payment to deal with IT related issues in a timely manner and lessen further complications. VRS Tech is here with you to provide the Annual maintenance contract in Dubai for the IT systems so no panic having to stop the work mid-way. With all the IT equipment working optimally, you can get the real advantage of running your business steadily and smoothly. Contact VRS Tech on +971 56 7029840 or visit vrstech.com to learn more about our annual maintenance contract for IT maintenance and services. Entrust the responsibility to us and push aside all your worries coming in your way.